An Art-Deco carriage on the Orient Express a molecular pharmacy, a LEGO house and upside-down interlooping escalators... 10 of the best projects at 2018 INSIDE World Festival of Interiors. 2018 INSIDE World Festival of Interiors – ‘Interloop’ by Studio Chris Fox – Photo by Josh Raymond. 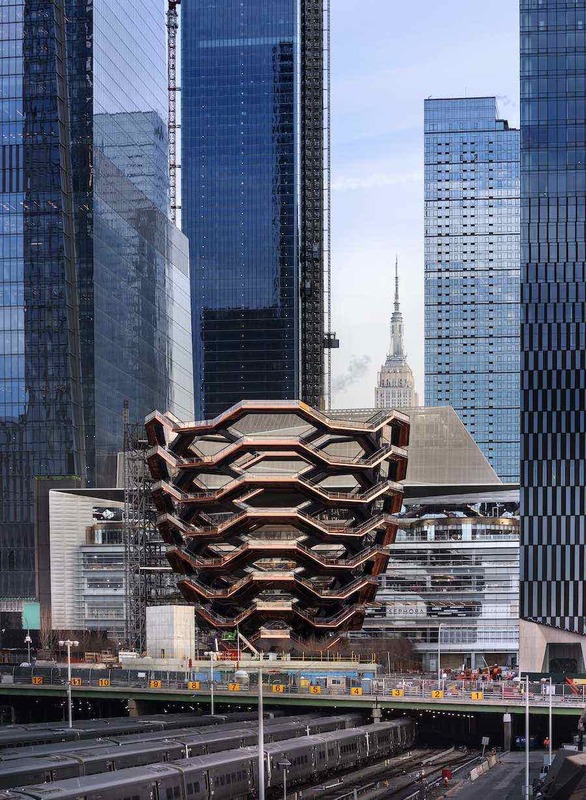 WAF 2018 – We picked 10 of the most stunning projects at the 2018 INSIDE World Festival of Interiors, the leading global interior design and architecture awards programme which runs alongside the World Architecture Festival (WAF). Yumin Art Nouveau Collection by JAC Studios was named World Interior of the Year among 77 shortlisted projects from 65 countries. By JAC Studios – Phoenix Jeju, South Korea. 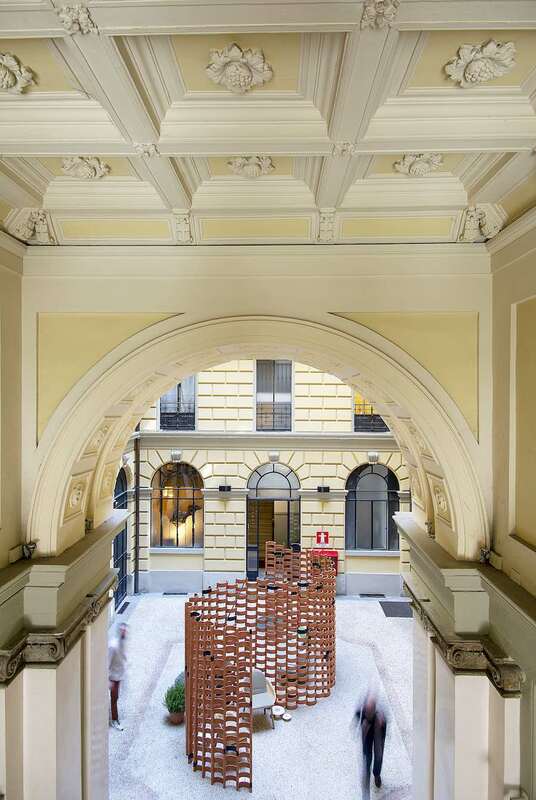 ‘Yumin Art Noveau Collection’ by JAC Studio – Photo by Yoonsung Choi, Jeongyoun Hong and Mathias Kromann Rode. 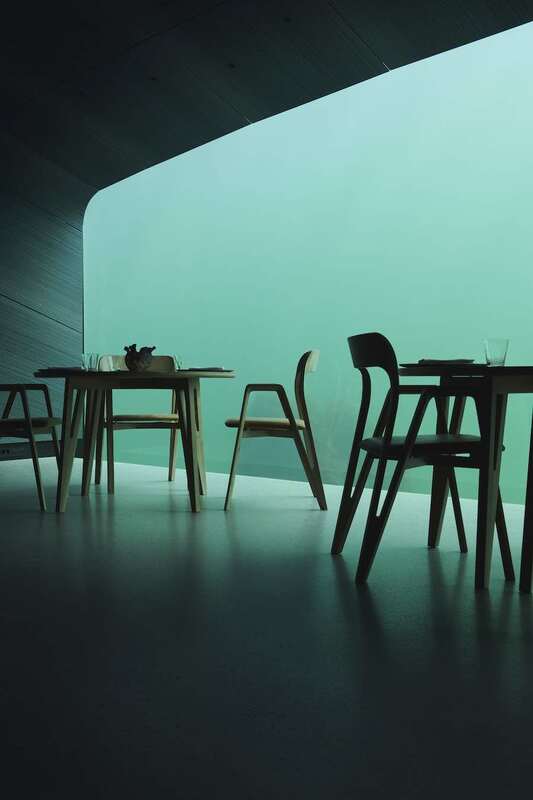 The Yumin Art Nouveau Collection by Danish practice JAC Studios is a poetic glass exhibition featuring also works by Émile Gallé and housed inside the elegant interiors of the Tadao Ando-designed Genius Loci building in South Korea. Working closely with Art Nouveau experts, JAC STUDIOS used glass as the primary material to transform the spaces, with respect to Ando’s existing design. 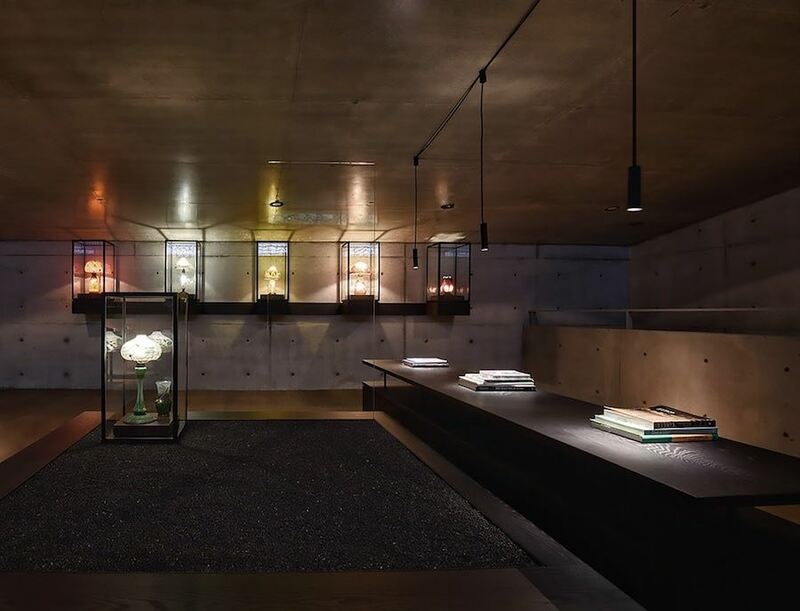 The exposed concrete of the building contributes create a moody, elegant backdrop for the art collection. 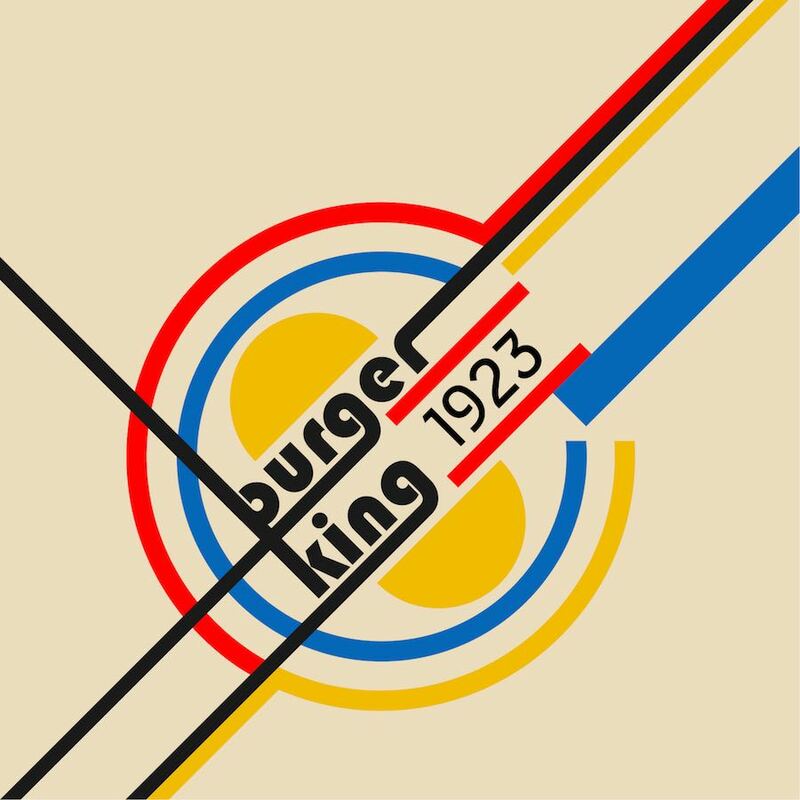 By Squire and Partners, London – UK. 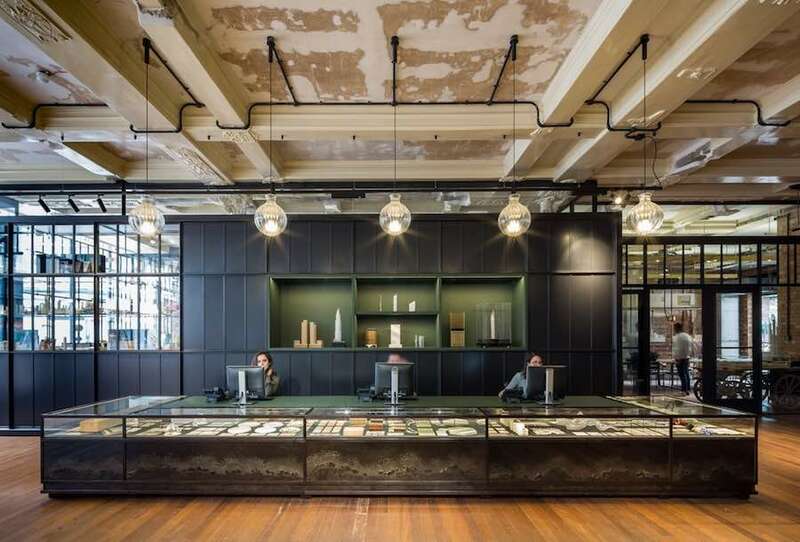 ‘The Department Store’ by Squire and Partners – Photo by James Jones. 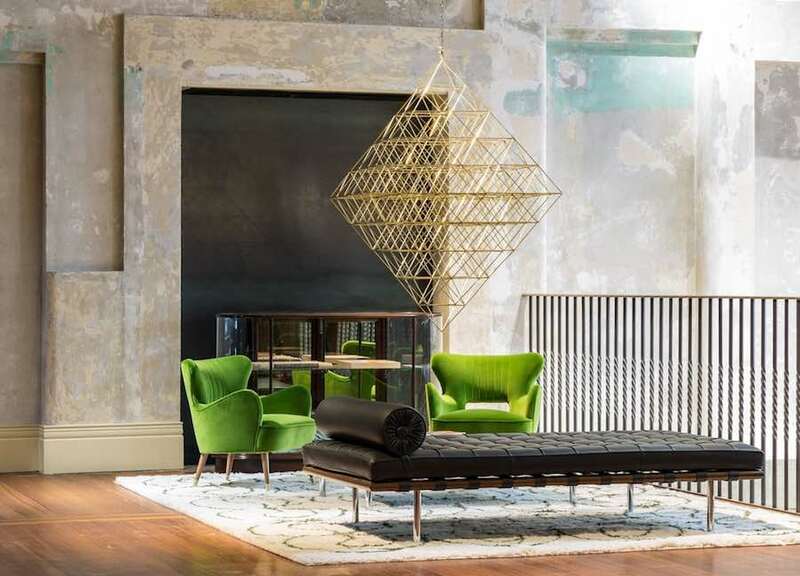 Squire and Partners took over a dilapidated Edwardian department store in Brixton, London, and turned it into an entirely reimagined the space allowing the existing fabric and layers of history to inform the new design. The studio teamed up with craftspeople and furniture makers, providing an exciting array of spaces for the various design disciplines. 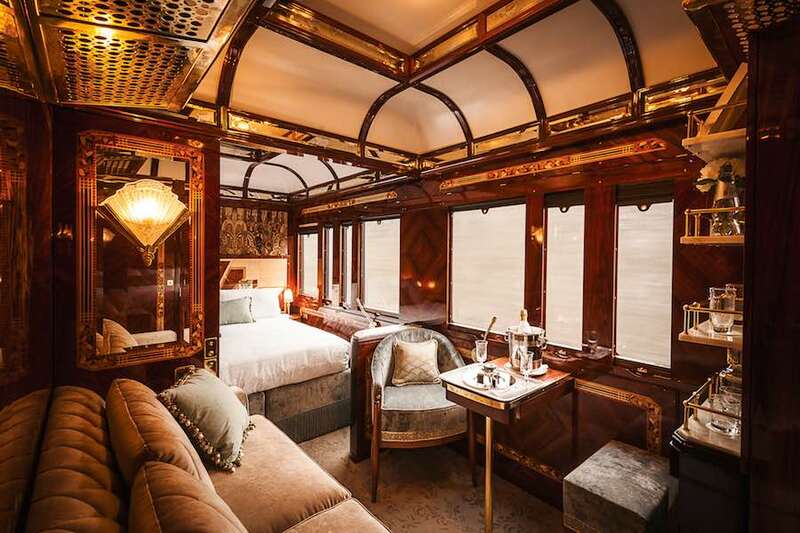 Luxury suite at Belmond Venice Simplon-Orient-Express by Wimberly Interiors – Courtesy of 2018 INSIDE World Festival of Interiors. Ornate detailing, hand-beaded embroidery and lavish fabrics… Art Deco reigns in the renovated ultra-luxurious private suites aboard the Belmond Venice Simplon-Orient-Express. “We drew inspiration from the heritage and style of Paris, Venice, and Istanbul, three main destinations the train weaves through” explain at Wimberly Interiors. By Studio Chris Fox, Sydney – Australia. ‘Interloop’ by Studio Chris Fox – Photo by Josh Raymond. 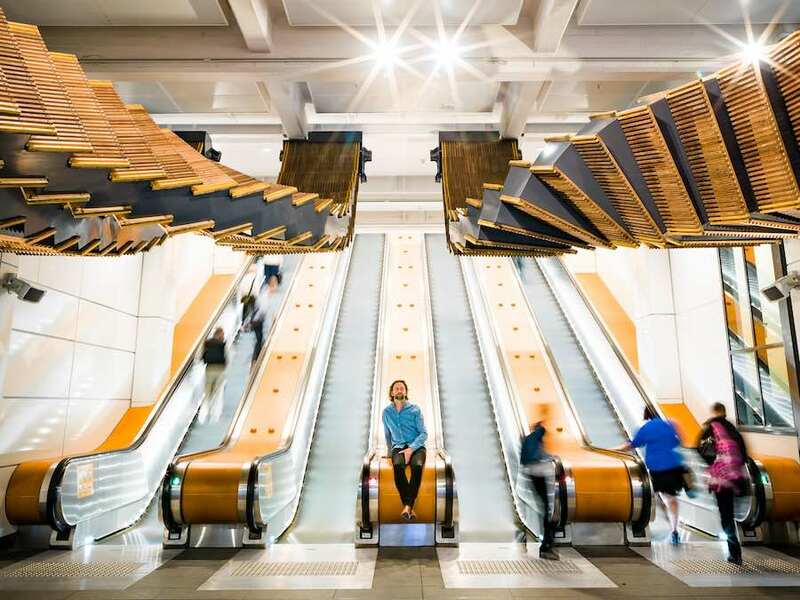 A scenographic Interloop design welcomes visitors entering the Wynard station in Sydney by Australian practice Studio Chris Fox. 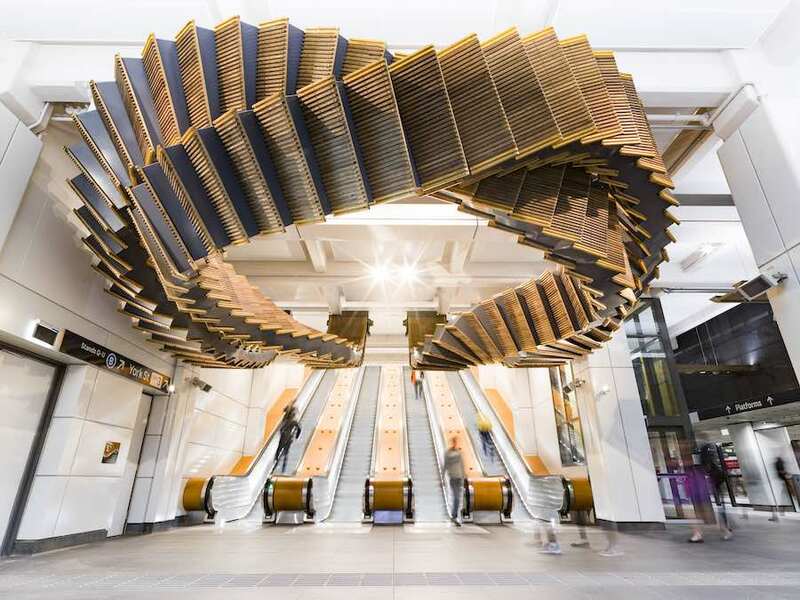 Made from re-used 1930s OTIS escalator treads, the Interloop measures more than 50 metres in length, weighs more than five tonnes, and weaves in 244 wooden treads and four combs from the original escalators. 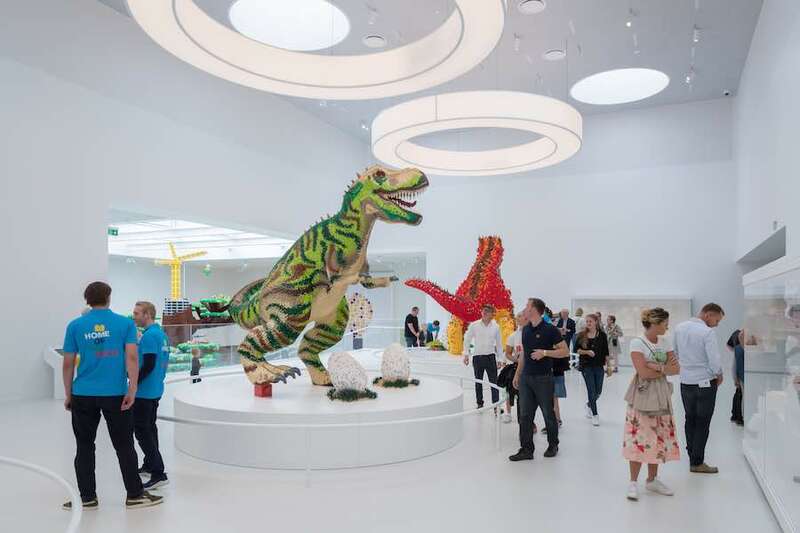 ‘LEGO House’ by Bjarke Ingels Group – Photo by Iwan Baan, courtesy of BIG. The Student Hotel design Team, Barcelona – Spain. ‘TSH Campus Barcelona’ by The Student Hotel Experience Design Team – Photo by Luis Beltran. Dutch hotel group The Student Hotel teamed up with Masquespacio on a new student-only campus in Barcelona. 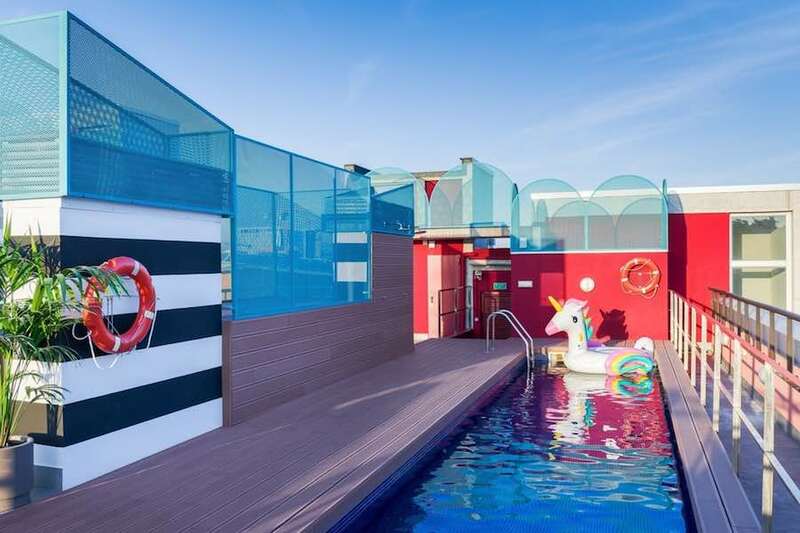 Gaming areas, open and private lounges and an outdoor swimming pool encouraging social interactions… “Millennials’ co-working lifestyle inspired the interior design” which features bold splashes of colour, hints of postmodernism and local and bespoke touches. 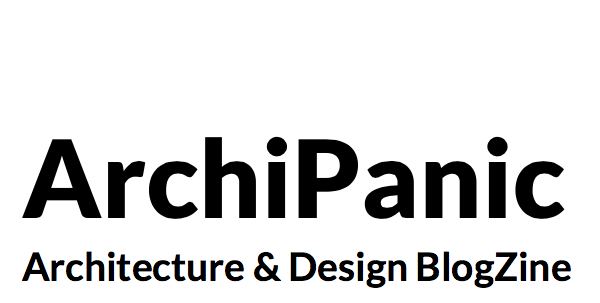 HDR, Gensler and Clive Wilkinson Architects – Chicago, IL, US. ‘Rehabilitation Institute of Chicago (RIC)’ by Shirley Ryan AbilityLab by HDR + Gensler + Clive Wilkinson Architects – Photo by Michael Moran. 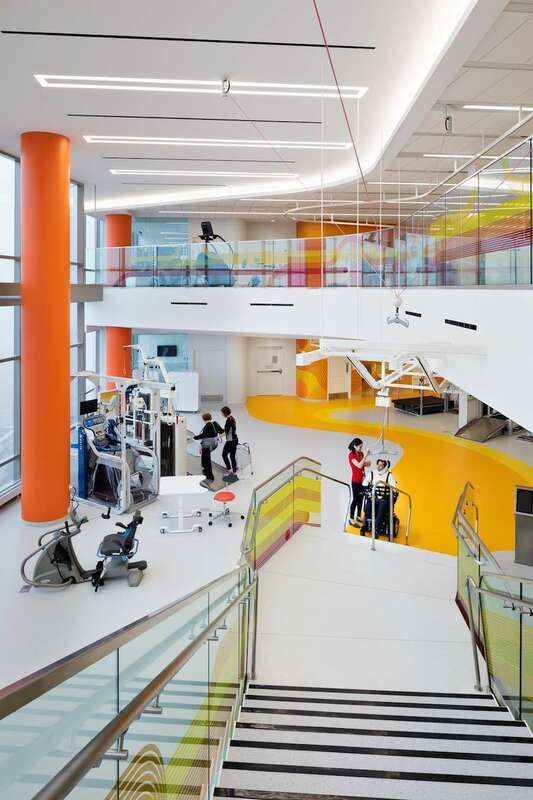 HDR, Gensler, and Clive Wilkinson Architects’ interior design for the Shirley Ryan AbilityLab reflects the cutting-edge multidisciplinary imprint of the first-ever “translational” research hospital for adults and children with the most complex conditions. Clinicians, scientists, innovators, and technologists can work together in shared, flexible spaces surrounding patients, discovering new approaches, and applying research in real-time. 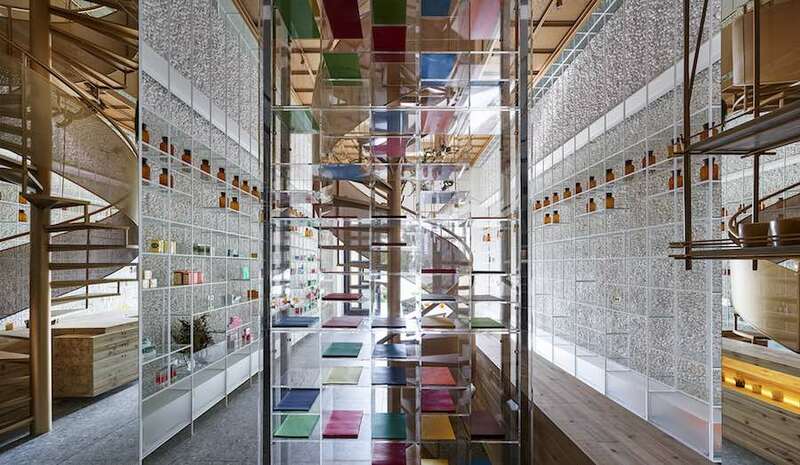 ‘Molecure Pharmacy’ by Waterfrom Design – Courtesy of 2018 INSIDE World Festival of Interiors. By Very Studio and Che Wang Architects – Taichung, Taiwan. ‘Sunny Apartment’ by Very Studio and Che Wang Architects – Photo by Studio Mill Space + Te-Fan Wang + Very Studio + Che Wang Architects. Very Studio and Che Wang Architects completed the interior design for a light-filled private apartment in Tauchung, Taiwan. Vaulted ceilings, bright interiors and a minimal imprint stand out. The “well-researched acoustically designed ceiling enhances the lightness of this inviting Taiwanese housing development”. 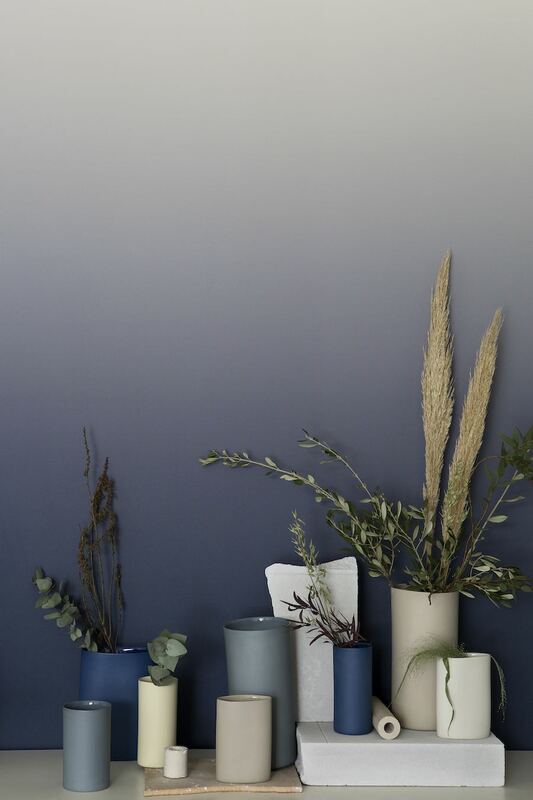 All images: courtesy of 2018 INSIDE World Festival of Interiors.